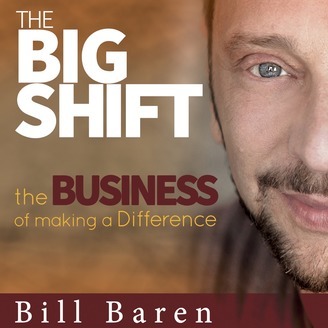 The Big Shift is a podcast, a community, and a movement. It is our aim to help those who want to make a difference, have success in carrying out their mission. The goal of our podcast is to inspire heart-centered entrepreneurs to create their dream business, do what they love, and make the world a better place in the process. We will help you get there by sharing with you the best marketing, sales/enrollment and mindset practices known to humankind today… All of these practices are tested and come from the people who are the very best at utilizing and teaching them. These will be some of the most extraordinary people on this planet. Get ready for your Big Shift! 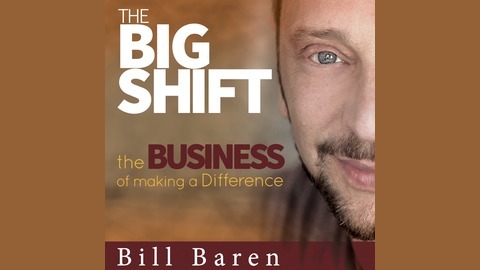 The Big Shift podcast is hosted by Bill Baren, one of a handful of top transformational business coaches in the world. To get to the podcast website cut and paste this link billbaren.com/podcast into your browser. There’s an old saying in business that if you're not offending somebody by noon and then you're doing it wrong.My guest today, John Parkes explains how that’s true and if you do it right...you’ll create thousands of raving fans.Oh yeah, John will also be sharing the Click-Funnels game-changing formula for creating a massive fan base that’s chomping at the bit to spread the word about what they do.